The best term to describe the current lay of the land when it comes to the current cryptocurrency industry is “Wild West.” There are so many things happening on the platform, and there are very few people who observe and regulate it if any at all. 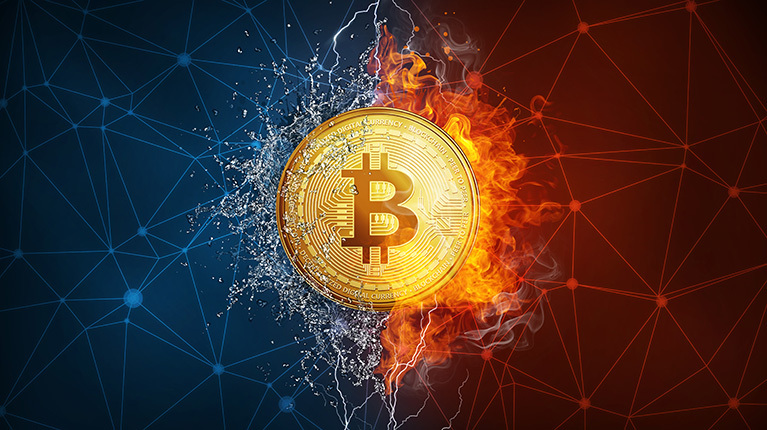 Ever since the price for most cryptos went down, there have been massive ramifications for both who invested in cryptocurrency, as well as those who were just caught in the crossfire. Success stories of overnight millionaires are but a dream of the past now, as the cryptocurrency market is more volatile than ever. This does not mean, however, that cryptocurrency is on its way to the grave. Far from it. Although valuation has seen better days, because of the decline of a lot of the major coins, some up-and-coming ICO’s are drawing investors’ attention. Some of these newcomers, like CafeCoin, bring with them new technology and processes that might just revolutionize the way people make use of cryptocurrency. The sharp decline in market value also brings some surprising yet welcome effects to the gamers, which we’ll get into later on. Mining is the process of solving complex mathematical equations in order to add a new block to a blockchain. The data stored in these blocks are every single transaction that has ever happened on that network. Before a transaction can be validated, it needs to be checked by other users on the blockchain if all the information in the transaction is correct. This is the very backbone of a decentralized ledger, which is what cryptocurrency really is; using complicated cryptographic codes in order to secure transactions, at the same time making sure no one party is the sole authority of the entire network. Now since the people who mine are solving extremely complex algorithms, they need fast and powerful hardware to do so. Before, they simply used their processors, or CPUs to do this, until someone figured out video cards were perfect for mining. They expend less energy, are faster at mining, and the more GPUs you used, the better. People started investing in the high-powered video cards available in the market, buying them in bulk. Because the demand increased, the prices went up as well, and gamers were the ones who were hit hardest. Certain months in 2017 were definitely the worst time to try and build a gaming rig. The prices of GPUs skyrocketed by as much as 150% of their standard SRP, and there was very little they could do about it. Even the stores started to limit the sale of video cards to two per person, but the miners still persisted, and gamers were left with hardware that was twice as expensive as they should have been. The major companies who manufactured these devices were concerned as well, because even though demand and prices went up, their stocks as a company would definitely be feeling the effects in the future. Those companies then thought of a counter-measure; they planned to create a specific GPU that was geared only for mining. This would not have video connectors, which basically makes is useless as a video card, but would still have the same computing power and processing speed as top-tier video cards. Some companies had even started production and beta testing of these products when some things happened that caught them by surprise. Bitcoin started the year strong with a valuation of well over $13,000. The current market value is less than half of that. Bitcoin, and cryptocurrency in general are well known for their volatility, but the steep decline was definitely a turn-off for many investors. The most well-known and first ever, cryptocurrency that was introduced to the general public had seen better days, and a lot of people were wondering if this was the beginning of the end. Today, we know that it wasn’t. Bitcoin is still the number one cryptocurrency on the market. However, it’s not without its flaws. Despite the fact that it has been active for nine years now, there has been little change to its processes and technology. Apparently, there is very little consensus within the development team, which leads to slow adoption and creation of new features that is present in a lot of the newer altcoins. It also needs a certain amount of technical skill and knowledge to operate, giving newcomers a difficult time starting. The mining of Bitcoin also consumes a lot of energy, and the design of the architecture does not allow more miners to have things go faster. Because of this, transaction fees and times skyrocket, one reason why many payment providers removed their support for the coin. Despite all this though, a lot of investors still come flocking to Bitcoin, and many cryptocurrency experts keep most of their portfolio in Bitcoin. Although it has fallen on tough times, most cryptocurrency enthusiasts expect Bitcoin to bounce back some time in the future. Bitcoin isn’t the only thing that’s gone down in the past couple of months. As the cryptocurrency industry starts to lose market value, other areas are also feeling the effects. One sector that seems to be enjoying the decline is the gaming sector. As mentioned before, a lot of gamers bemoaned the fact that GPU prices soared sky-high because of cryptominers who hoarded the hardware. This went on to the point that some companies even told retailers to prioritize the gamers in selling their GPUs instead of cryptominers. Recently the trend has reversed though, because GPU prices have been dropping like a rock. Experts say this is due to the devaluation of cryptocurrency. The utility cost of mining coins has also increased, which means profit margins become smaller and smaller. Another factor to consider is the fact that there are devices that already surpass the computing power of GPUs when it comes to mining. ASICs—or Application-Specific Integrated Circuit—can be customized to fulfill a specific use, in this case, mining. They can put out up to 10 times the power that a GPU can, and they also consume about the same amount, or sometimes less energy. Yes, the cryptocurrency industry has been through some rough times. It is still alive and fighting though, and expert analysis shows it is a long way from becoming insignificant. In fact, in some aspects, it is growing, as more and more altcoins are becoming more popular and are being used in the retail sector. For instance, the coin mentioned earlier, CafeCoin, is an up-and-coming cryptocurrency that will initially target the high-margin retail coffee sector. CafeCoin also targets specific pain points in the industry, like high transaction prices and long transaction times, and have set up their blockchain architecture and processes accordingly. There are other altcoins and ICOs out there who target the weak spots in cryptocurrency, just like CafeCoin. Investors are sure to find something interesting with a bit of research, and who knows? Cryptocurrency might soon enough be adopted by the public.